Traditional media, particularly TV, performed strongest in almost every category and in an overall weighted score. This was followed by radio, newspapers, magazines and out of home (see chart below, and full results further down). Although advertisers and agencies perceived TV would perform best, they perceived online video, social media, out of home and cinema would deliver campaign success. They ranked magazines at the bottom of the pile, which is completely at odds with the evidence. An industry source, who spoke to AdNews under the condition of anonymity, believes there are a few reasons why this perception gap exists. Digital media is often more lucrative for agencies than traditional channels. Audiences are shifting towards digital platforms, particularly younger users that advertisers target. And a lot of media buyers tend to be younger media consumers and have a natural bias towards digital platforms, while few read print media. As the study is focused on the UK market, AdNews approach Ebiquity in this market to find out if the results are consistent with research here. 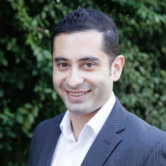 “Our recent Payback Australia study, when you look at our findings overall and compare them with the grand prix results in this study looking across those top five attributes and how each advertising medium rank, we see a very similar alignment,” Ebiquity head of effectiveness Jonathan Fox tells AdNews. “Businesses really should be measuring the impact of advertising on sales, on those key business outcomes and not on those middle of the road measures around impressions or clicks." Fox says the misperception of online video and an “unfair view of press” were two key themes from the study. “We have seen a decline in circulation and that has given advertisers and agencies the idea that perhaps the effectiveness or efficiency of advertising in those channels has declined,” he adds. Fox believes the flight to online video could be partly due to it being seen as “a shiny new toy”. “People would like to believe it is going to perform like TV does, but the reality is the reach is very limited and frequency generally is quite high on a like for like basis. Although TV has a higher cost per entry, the national reach is far greater and it is a “better use of money than online video”. Ebiquity Asia-Pacific managing partner Richard Basil-Jones believes agencies are seeing changes in usage patterns and behaviours and have correlated and aligned that with effectiveness and efficiency. “The reality is the hard numbers don't support that,” Basil-Jones says. “Everyone is on mobile and doing a lot more activity online, that doesn't mean those advertising mediums are more efficient or effective. “Just because we've seen a decline in print audiences for newspapers and magazines, it doesn't make them less effective or efficient. Basil-Jones says a key lesson for advertisers is that online display is rubbish, describing it as “the most underpeforming, underwhelming media type in every study we've done” and “continues to provide least ROI”. The results of the study measure up to the views of effectiveness experts like Peter Field, Les Binet and well known marketing professors Mark Ritson and Byron Sharp. In a column for Marketing Week, Ritson described the report as one of the most important in recent years for determining effectiveness in a column for Marketing Week. “The idiot marketers (and I insist on the term because I mean it) that continue to push a digital-first approach to media must be shouted down. The power of a good campaign has always been in the combination of different weapons at different stages of the execution to get the job done,” he wrote. Ritson doesn't believe the report will change marketers or agencies views, you can find out why, here. Surprisingly, the study found that radio was more effective for targeting than social media, online display and online video. However, the Ebiquity study measured targeting capability against six different criteria and provide each with a score. Social media scored highly in geography, demographics, contextual and addressability, but radio and TV was stronger in terms of being able to target to different day parts. Ebiquity combined its own data and two other industry studies to work out the ROI of campaigns. TV came first in two out of three studies and overall, followed by radio and print, online video and social media. Social media was harder to measure with a lack of accurate measures outside of Ebiquity's own database (fewer than 50 campaigns) and a Facebook study. This measured factors like amplification, memorability, stature and stand out and level of ad avoidance. 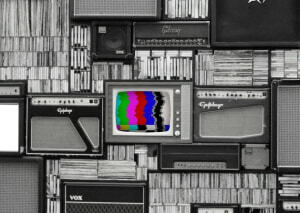 Television and Cinema fared well as platforms for ads to get noticed while the prevalence of ad blockers and a range of other issues with online display relegated it to the bottom. Traditional media (TV, newspapers, magazines and radio) performed best as mediums to enhance long-term brand equity. Cinema, probably due to a lack of frequency, social media and online display were rated as the worst drivers of brand salience. The mediums that were most effective for triggering an emotional response included cinema, TV, radio and magazines. The study revealed a misconception between the power of online video to drive emotion and reality. AdNews suspects if online video is viewed on a larger screen it would score higher for this attribute, but on smaller mobile phone screens the emotion levels are reduced. One of the more interesting and unexpected findings was found in short-term sales. Although advertisers and agencies accurately assess the role of TV and radio to drive sales response, they overvalue online display (which includes programmatic) and paid social media. They also largely undervalue advertising in newspapers, magazines and direct mail. The research drew on a few industry sources and Ebiquity econometric modelling. For social media and cinema, there was: 'no published secondary research, score based on Ebiquity knowledge from econometric modelling'. To find out more, download the report Re-evaluating Media. Agencies and advertisers heavily overvalue the effectiveness of online video and undervalue traditional media like radio, newspapers and magazines across a range of attributes they use to measure campaign success. That's the verdict of a groundbreaking new study by Ebiquity UK that measured advertiser and agency perceptions against actual performance data from more than 4,500 campaigns and industry research. The study surveyed 68 marketers and media experts in companies spending more than £2 million on advertising in the past year. It also polled 48 media buying agencies. It was commissioned by a UK radio body, Radiocentre, but respondents were not made aware of this and all results were analysed independently. It found that online advertising, particularly online display and video, delivered poorly in comparison to traditional media in almost each of the 10 attributes agencies and advertisers said were most important in delivering a successful campaign.